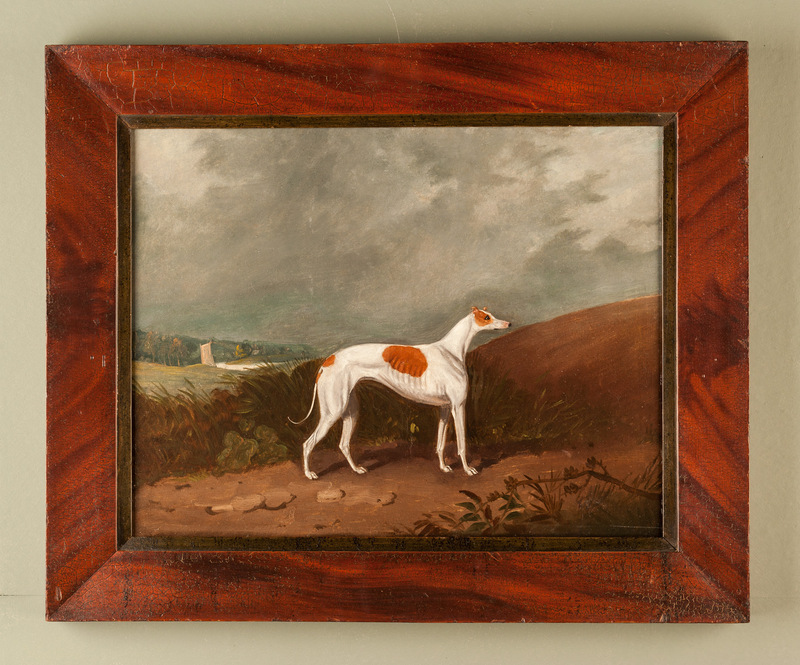 A charming, English School portrait of a favourite greyhound, standing in a landscape with a river beyond. English circa 1820. Within a period, probably original, mahogany-grained frame.